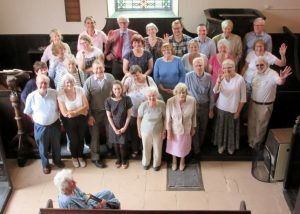 Welcome to the Northern Unitarian Association (NUA) website! We are the organisation who support Unitarians in the Northern region of the UK. Unitarians are people who wish our spiritual path to be broad and tolerant, and believe that all people have the right to seek truth and meaning for themselves. We feel that religious and spiritual beliefs are something that each individual has the right to determine for themselves, so we do not have any set of beliefs that a person must hold to be a Unitarian.